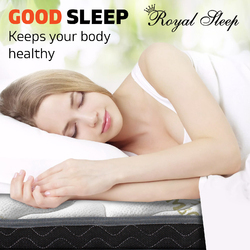 You spend one-third of you're life sleeping. 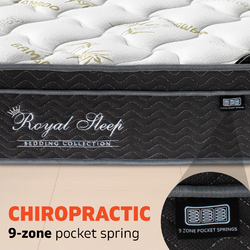 Make this time count with the 9-zone pocket spring mattress from Royal Sleep. 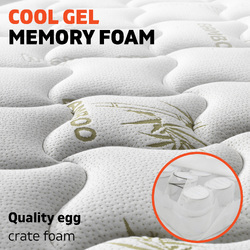 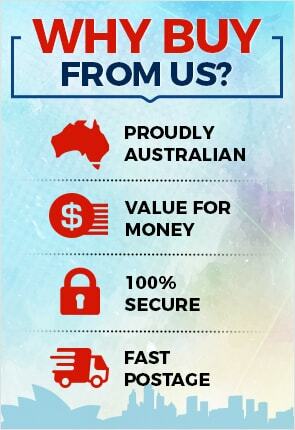 This top of the range mattress comes with cool gel memory foam so you can escape the Australia heat. 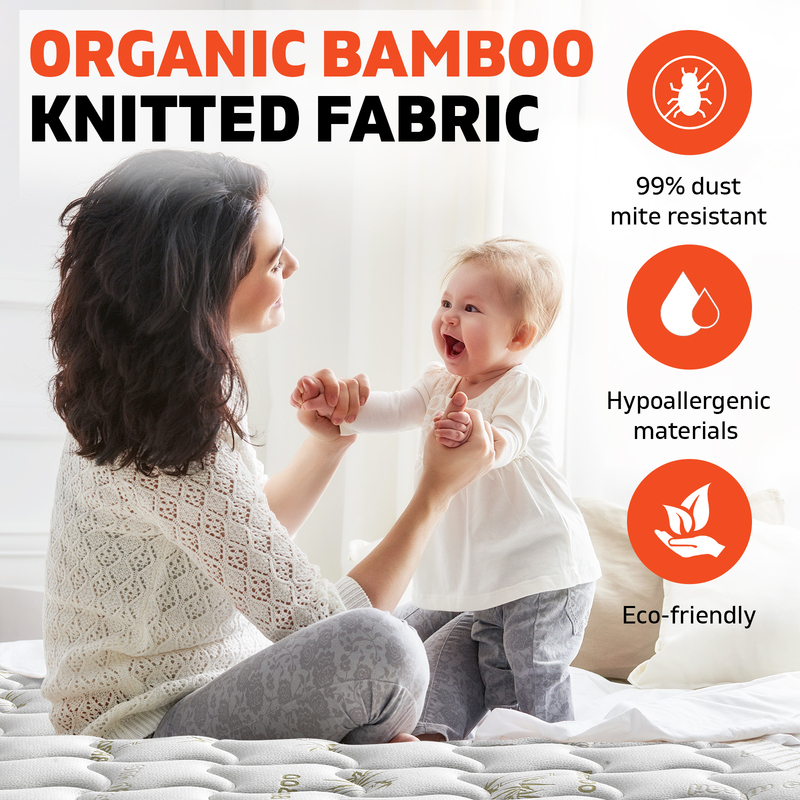 The mattress is covered with high-quality eco-friendly organic bamboo knitted fabric that is soft to the touch. 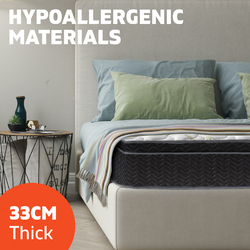 For people that has pets or suffers from allergies, this mattress is made from hypoallergenic materials and is 99% dust mite resistant. Reduce you're visits to the chiropractor as this mattress features a 9-zone pocket spring to distribute and support you're body weight evenly. 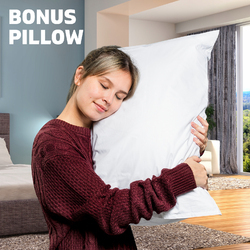 This prevents muscle pains in you're neck and back. 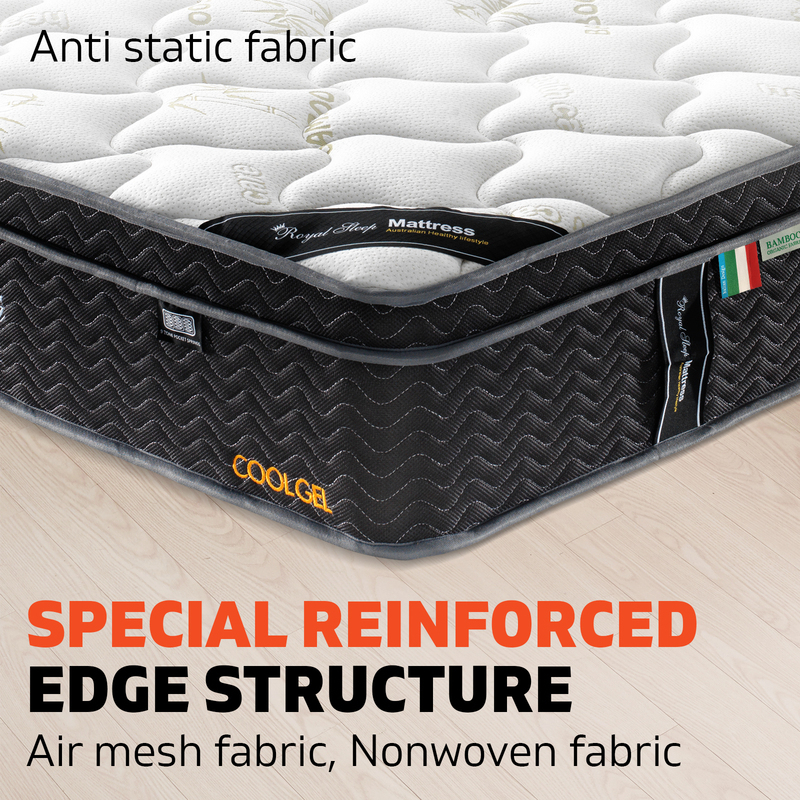 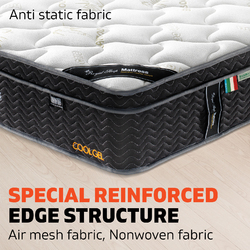 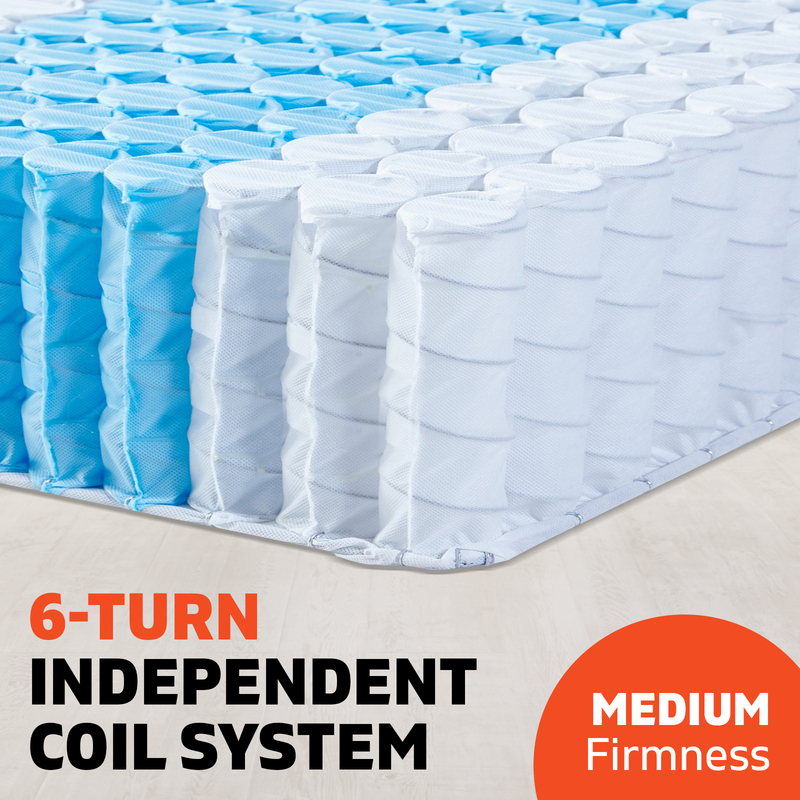 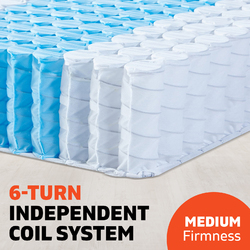 A 6-turn coil system will also absorb you're partner's movements to ensure a disturbance-free night’s sleep. 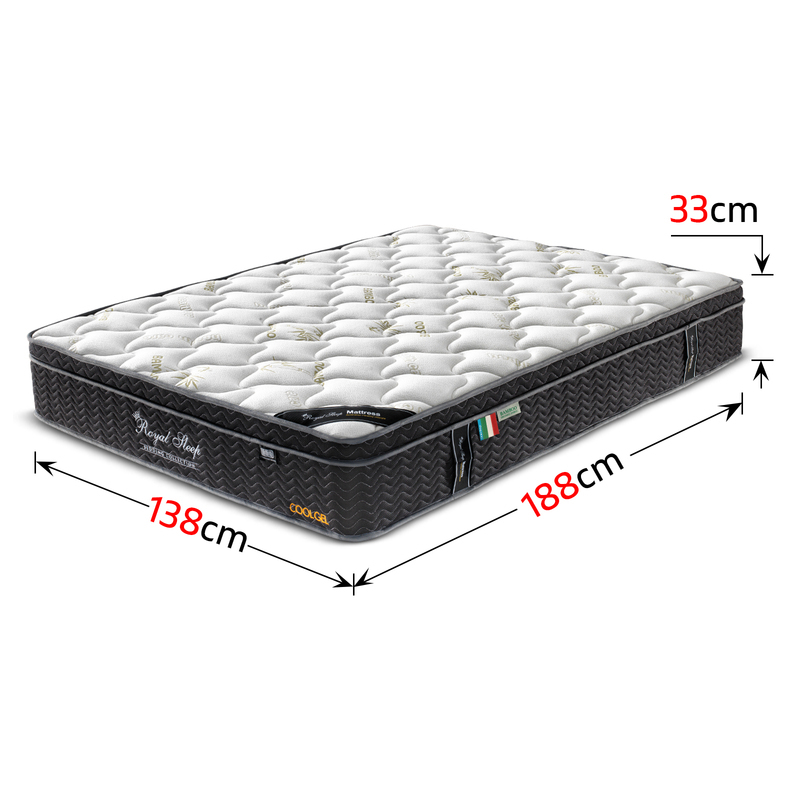 The mattress is 33cm thick and you can choose from single, double, king, king single and queen sizes. 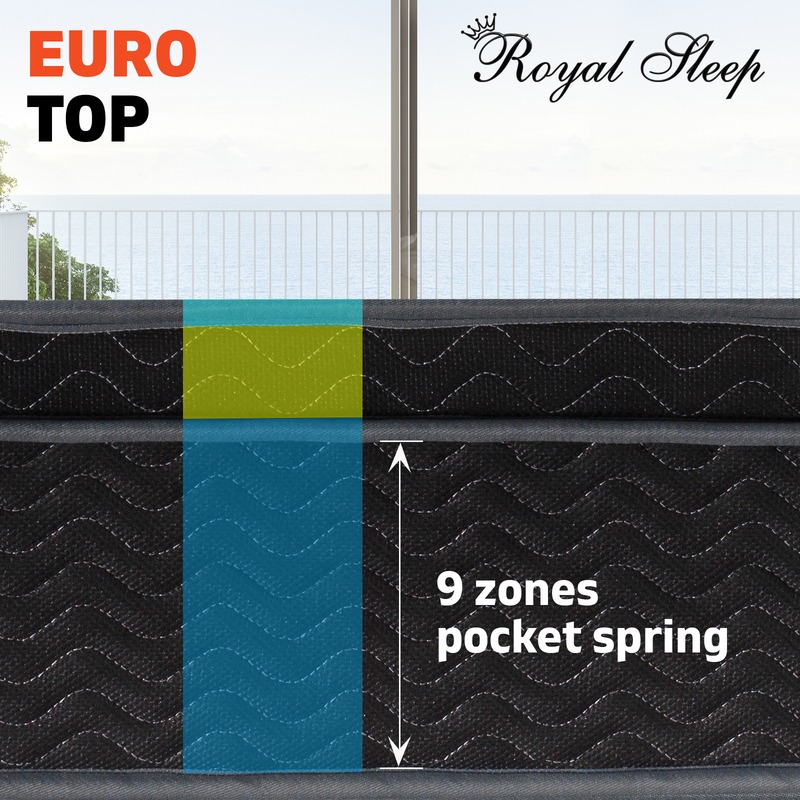 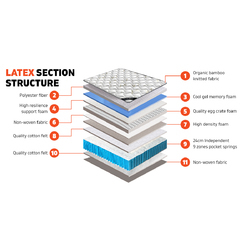 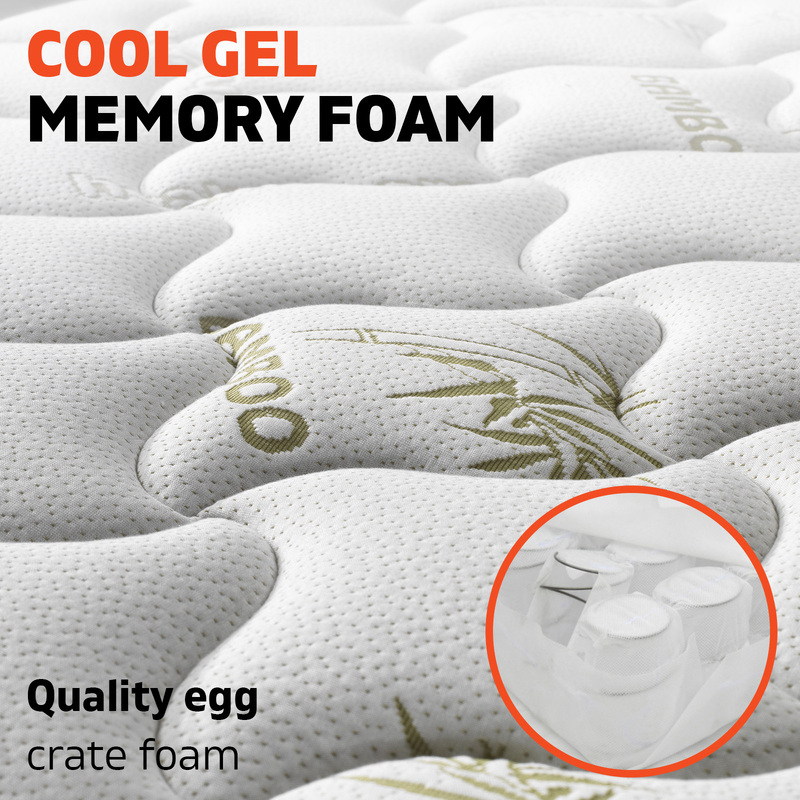 With a quality egg crate foam with high resilience, quality cotton felt, and polyester fibre, this Royal Sleep mattress truly lives up to its name. 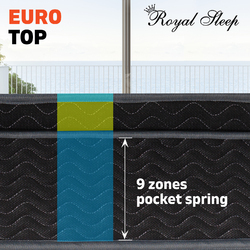 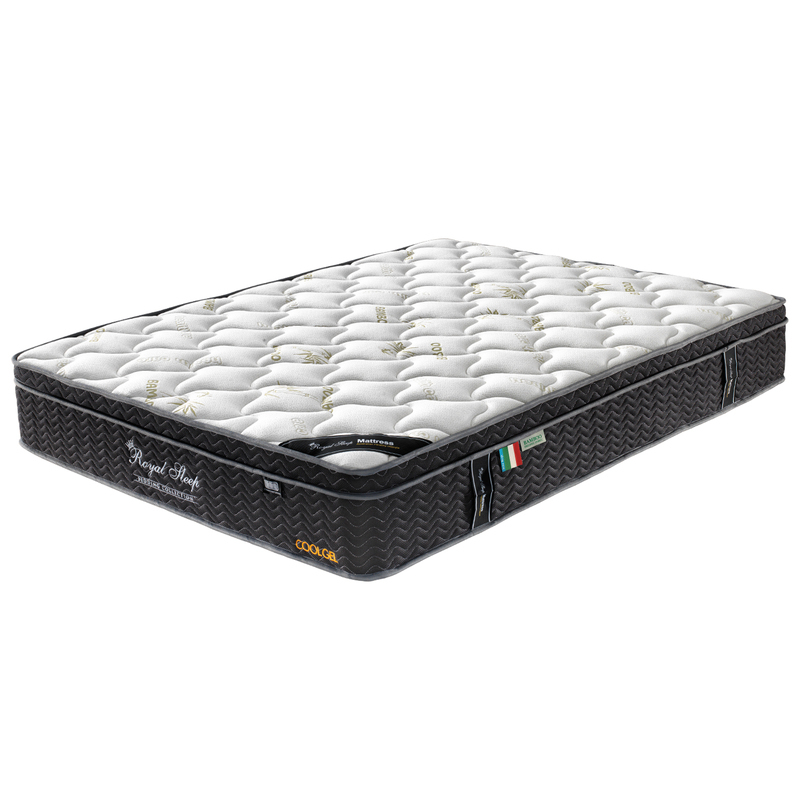 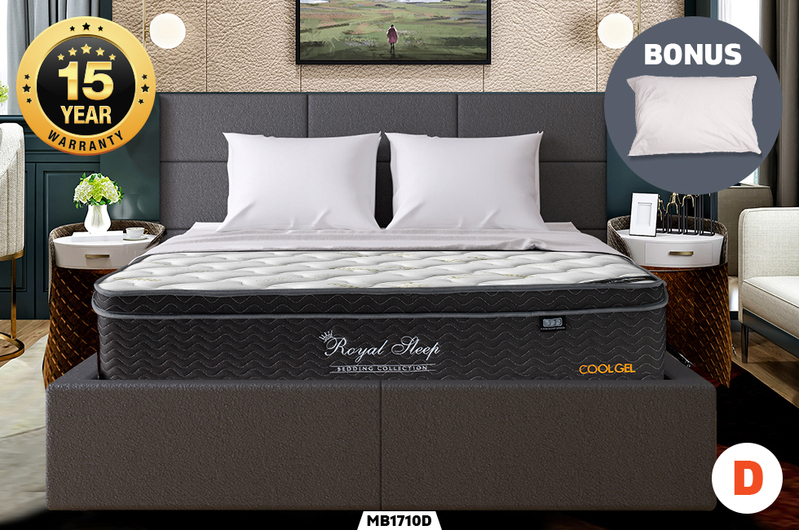 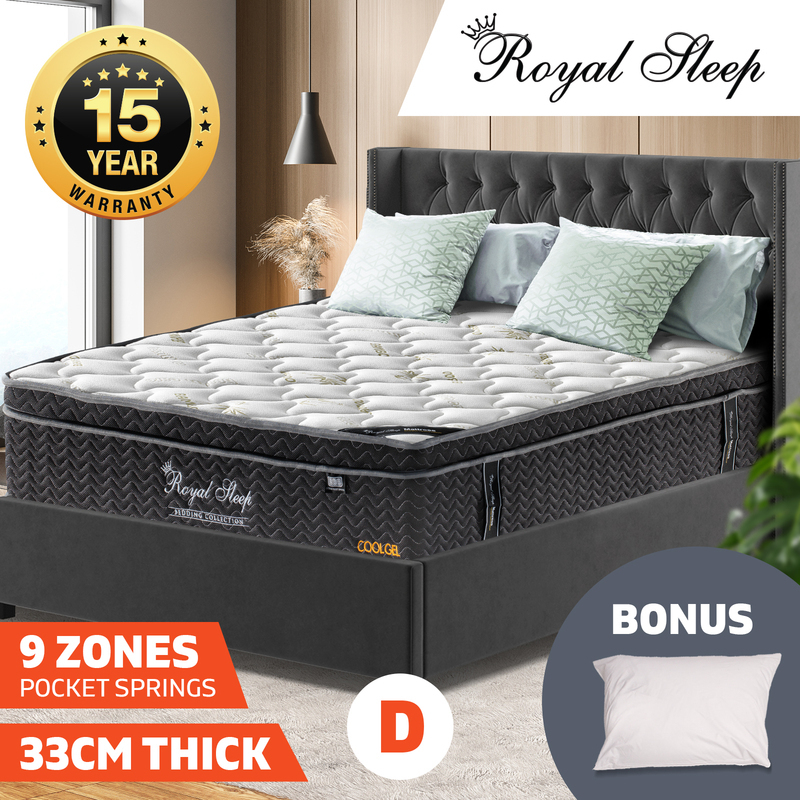 Choose a size that is perfect for you today, and receive a Royal Sleep 9-Zone Euro Top Cool Gel Bamboo Mattress. You will also receive a free pillow if you choose a single, king single or double and two pillows if you choose a queen or king size! 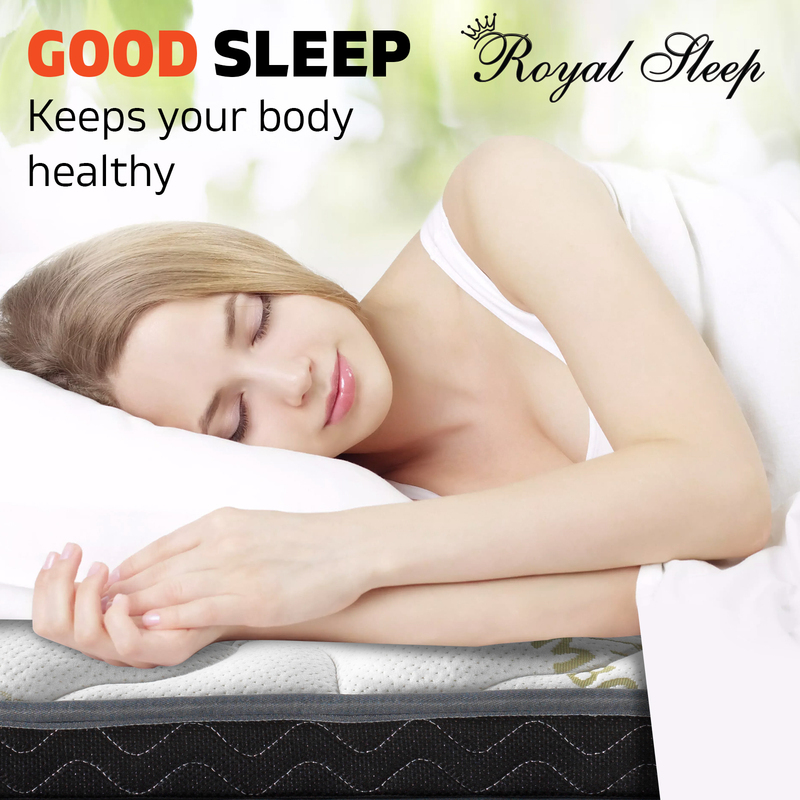 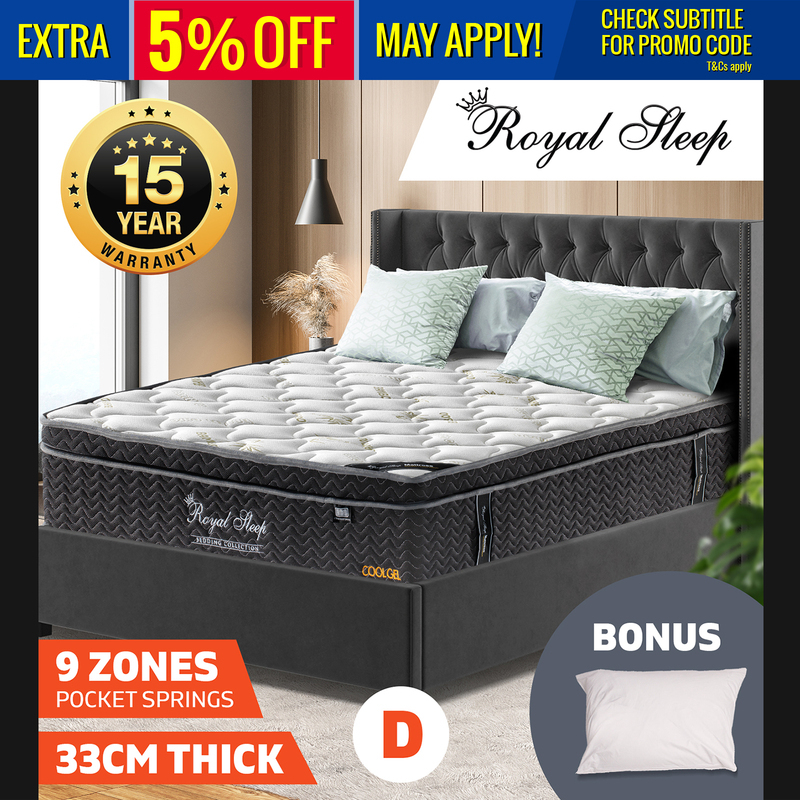 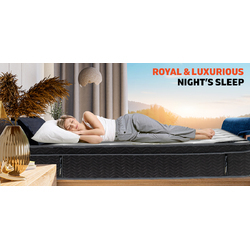 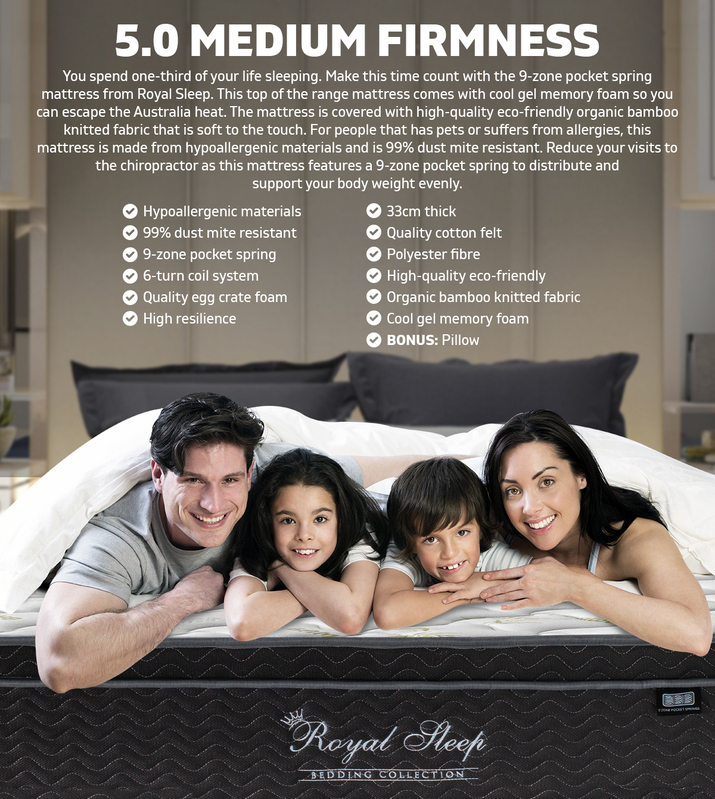 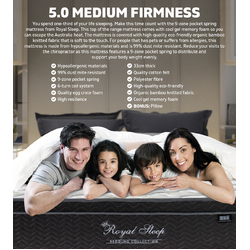 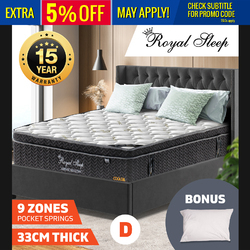 Buy you're Royal Sleep mattress today and start waking up fresh and rejuvenated every morning!